Some 600 postdoctoral fellows and graduate students joined 37 Nobel Laureates in Physiology or Medicine for the 67th Lindau Nobel Laureate Meeting on Lake Constance at the end of June. 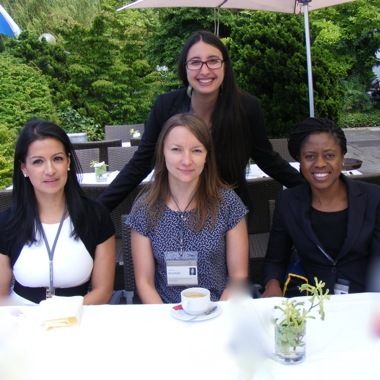 Four of these young scientists were sponsored by the Vallee Foundation: Renata Gomes (King’s College, London), Alice Matimba (University of Zimbabwe), Maria Molina (Freie Universität, Berlin), and Johanna Roostalu (Cancer Research UK). 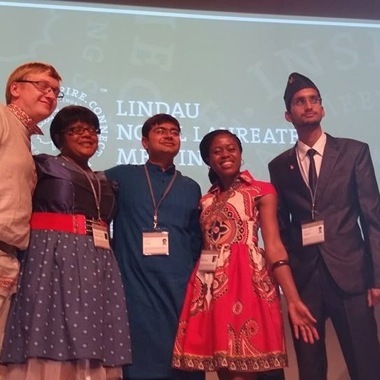 The Vallee Foundation is delighted to have sponsored these four talented young scientists for their trip to meet with Nobel Laureates in Lindau. 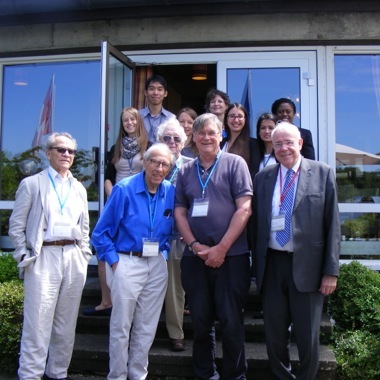 The Vallee Foundation delegates had a week of intensive academic meetings, a chance to meet "rock stars of science" and an opportunity to network with colleagues from around the world. Mornings were dedicated to lectures from the Laureates in which they shared their knowledge and related recent advances in their fields. More informal discussions between Laureates and young scientists were held in the afternoons. Panel sessions were held over science breakfasts and in the late afternoons. Lunches and dinners provided further opportunities for interaction between the generations, both formal and informal. Eddy Fischer, Vallee Foundation Director and Vallee Visiting Professor, enthralled about 80 young scientists at his afternoon session. The meeting provided Maria Molina with a new perspective on her research into the development of nanogels for controlled drug delivery and attendance raised her profile in her native Argentina and in Latin America as a whole. She was interviewed by Deutche Welle Latinoamerica (@ min 17.30); by La Nacion, one of the newspapers in Argentina with the largest circulation among other radio stations and newspapers. Renata Gomes was selected as one of the Scientists for the Day and was one of two young scientists on the panel of the Academia and Industry discussion. She, too, was interviewed, by the German TV channel ARD-alpha. Alice Matimba particularly welcomed the opportunity to network and initiate strong collaborative links with research groups abroad. She presented in the panel discussion for the Mckinsey Scientific Leadership Breakfast session organized by Matthias Evers and Frank Mattern. Johanna Roostalu most of all enjoyed the stories and anecdotes shared by the Nobel laureates in smaller Q&A sessions or informal dinners and gatherings with young scientists that revealed a little bit more about the human experience behind some of the greatest scientific discoveries, and how it takes a knack for extracting inspiration from unexpected sources, intuition to recognise serendipity and luck, at times stubbornness or even foolhardiness, but most of all passion and ability to find genuine joy in doing research to be a great scientist. Vallee Visiting Professor Suzanne Cory was among the Australian delegation in attendance. She hosted the panel session on “Women in Science” held at the science breakfast which opened the inspirational International Day hosted by Australia.